impact merchandising is a licensed apparel company in omaha, ne. 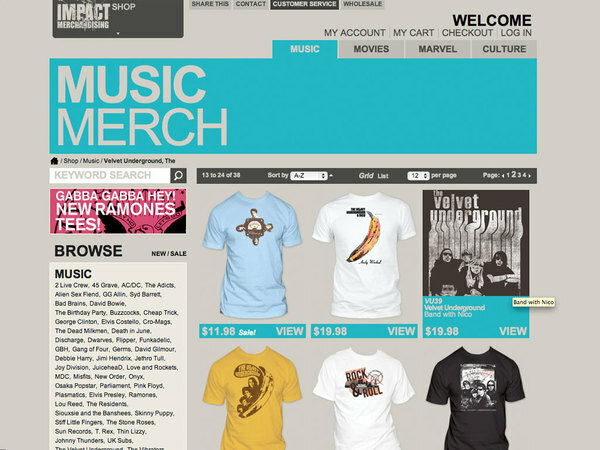 they distributes to stores like hot topic, urban outfitters and many online vendors. they needed a new website both retail and wholesale customers could easily use. one that didn't have a flash splash page featuring the sound of breaking glass. form n' function, it's just like rock n' roll!! in that they both employ the same conjunction. obviously. a simple design with color-coded categories was applied throughout. so the products could be the star of the show. 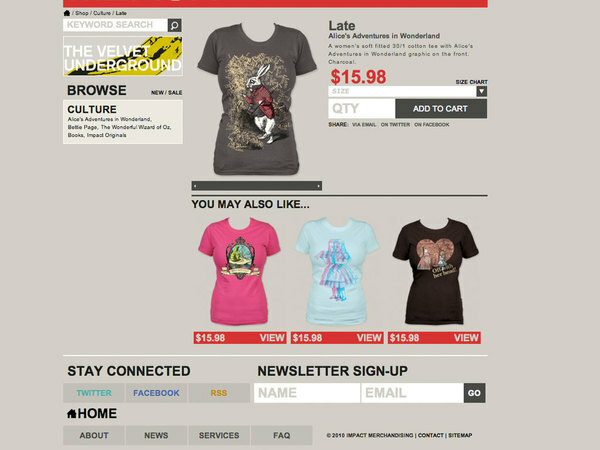 a rotating carousel was added to the homepage to promote new products, sales and news. internal dynamic and static banner ads rotate throughout the site help visitors discover other merchandise and services while shopping. social media integration was applied throughout to engage customers on facebook and twitter. they were able reach out to a new customer base and new clients too. themes every year to maintain cohesiveness across brand.